All of our club gig nights are held at The Bronx Bar, Teignmouth, TQ14 8SJ unless otherwise stated. Doors open at 7.30 for an 8pm start. 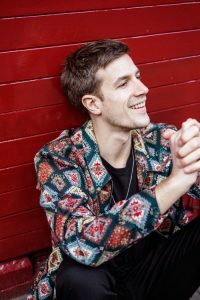 Click this link to check out Dave’s interview with london Jazz News! 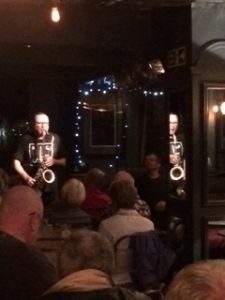 Teignmouth Jazz and Blues continues to bring the best of jazz to the Teign Estuary with yet another band that brings the sound of the nation’s top venues to South Devon. 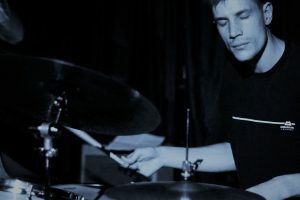 Their next gig features young dynamic London-based drummer Dave Storey who has quickly established himself as one of the leading drummers on the London jazz scene playing regularly at Ronnie Scott’s Jazz Club, The 606 & The Vortex Jazz Club in a variety of line-ups. 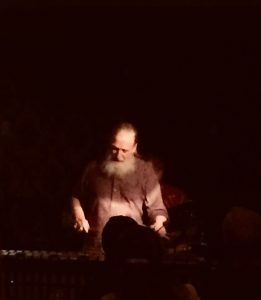 Dave studied Jazz Drum-kit at the Royal Academy of Music with many influential drummers such as Martin France, Gene Calderazzo, Tim Giles, Jeff Williams and Jim Hart. 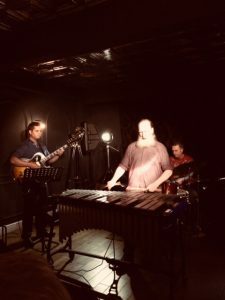 With these credentials it is not hard to understand that his trio is currently touring their debut album Bosco which showcases the group’s ability ‘to push boundaries whilst maintaining a fluid, conversational approach to improvisation and their audience. 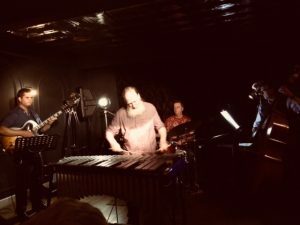 Over the past 4 years they have honed this approach towards celebrating the elements they love in classic jazz line-ups and recordings, and maximising the space for communication and interaction within their own compositions’. In plain terms this is modern jazz that entertains its audience. 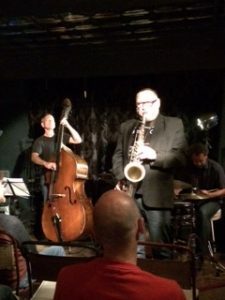 It is apparent on listening to them that their music is rooted in the traditions of modern jazz but at the same time Dave drives his music into new areas with its driving grooves and inventive playing by the rest of the trio in the form of award winning saxophonist James Allsopp and Conor Chaplin on double bass; both outstanding musicians in their own right. This gig is the only chance to see them in South Devon and is one stage in their national tour sponsored by the English Arts Council which started at the Pizza Express in Dean Street and finishes in Brighton at the end of the month. An outstanding performance from one of the most exciting musicians on the scene for some years. An incredible gig by this exciting band from France. A lovely mix of standards and original material enjoyed by all who were there. Super soloist with a top rate rhythm section. Here are a few photographs……. Thank You to everyone who came to see Gilad, we had a packed house and what an amazing evening. Thank You also to Gilad and the OHE who blew us away with their tribute to John Coltrane ‘The Spirit of Trane’. This really was a treat for Teignmouth Jazz & Blues Club. We hope Gilad will be back for our 2018 festival. 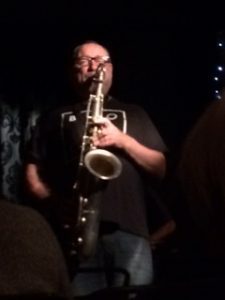 Below are a few photographs from the gig………..
Are you a Jazz or Blues Artist? Would you like to perform at one of our Gig Night?